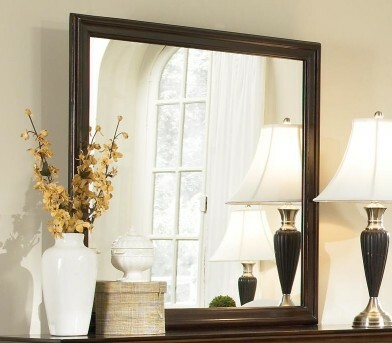 Tuck yourself in. 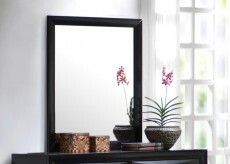 The Tatiana Mirror emphasizes strong horizontal lines and geometric balance. 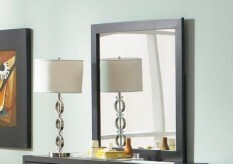 Pair with the matching case peices to complete the group. 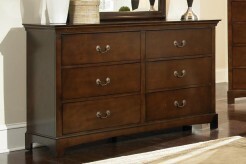 Constructed with solid wood and select veneers. 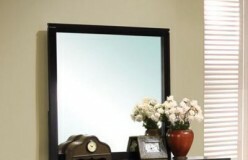 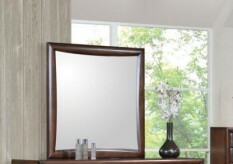 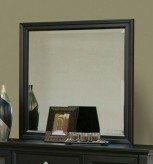 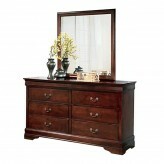 Furniture Nation is proud to offer the Tatiana Mirror online. We serve customers across the DFW region including Carrollton, Dallas, Keller and many more. 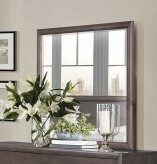 L38" x D1" x H38"